John Witte, Jr., Robert W. Woodruff Professor of Law, McDonald Distinguished Professor, and director of the Center for the Study of Law and Religion at Emory University, will receive the James W.C. Pennington Award in June from the Heidelberg Center for American Studies and the Department of Theology at the University of Heidelberg. The award honors a former slave who escaped his abusive master and became the first African American to attend Yale University. He became a writer, minister, theologian, abolitionist, and international symbol of freedom. 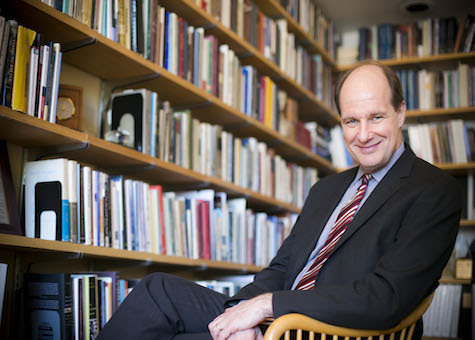 Witte will give a public lecture titled, “Religion and Human Rights: What James Pennington Still Teaches Us,” during his two-week stay this summer as part of the James W. C. Pennington Distinguished Fellowship. He will also teach a compressed course on American religious freedom, and lecture on issues of law, religion, and family at the University of Bonn. Pennington’s ties to Heidelberg University date back to the 1849 World Peace Congress in Paris, when he befriended theologian Fredrich Carové, who persuaded Heidelberg University to confer an honorary doctorate of divinity on Pennington. It was the first time an African American received such an honor from a European university. The James W.C. Pennington Award was established in 2011, and past recipients have included leading African-American scholars from Princeton and Harvard.